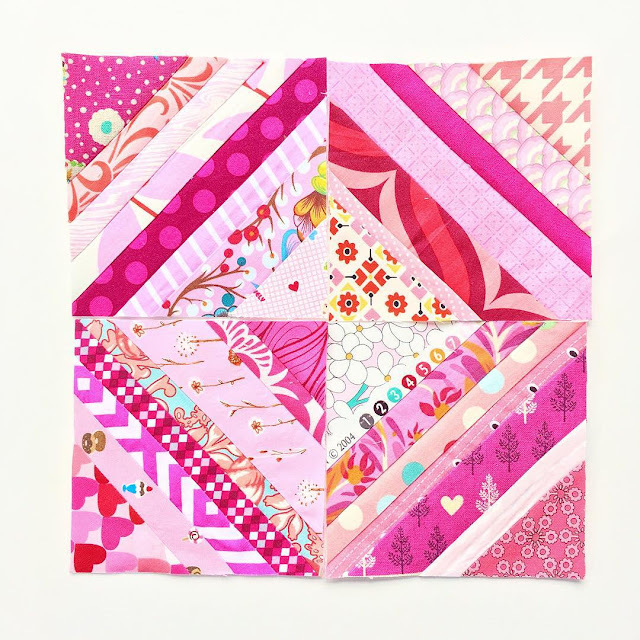 Make the most of your favorite scraps or even your 'ugly' fabrics by making string blocks! 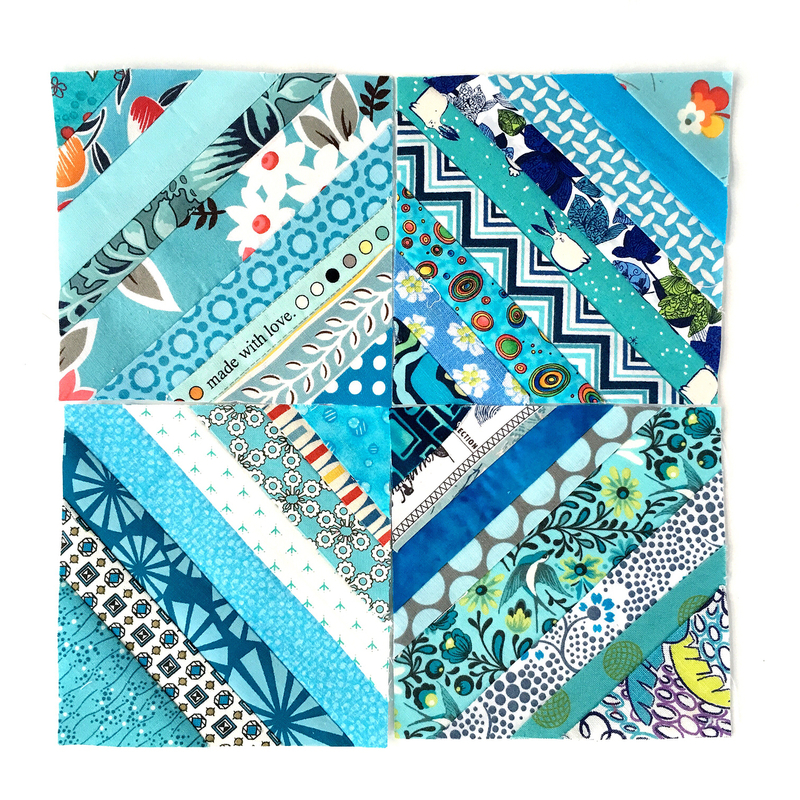 String Blocks are, by far, the easiest block ever made and can be the perfect choice for a beginner! You will find this How To the most useful tool in your sewing box! We all need those go to patterns and ideas! Here are a few I have made just this past week with some of my out of print and hard to find scraps that I cannot part with. You can also make a variation with a solid center of each block as shown here with a bigger block size at 12.5 and Heather Ross Mendocino fabrics. Here is the quilt top with the center strips solid. I made this quilt last Summer on our family vacation. Each day I worked on a few blocks and this was the result at the end of the week ( that went by WAY too fast). To show you how easy it is to create these fun blocks, I made a very short video. The intent was for Instagram only and those are limited to 1 minute. SO much to share in so little time but I think it is okay. 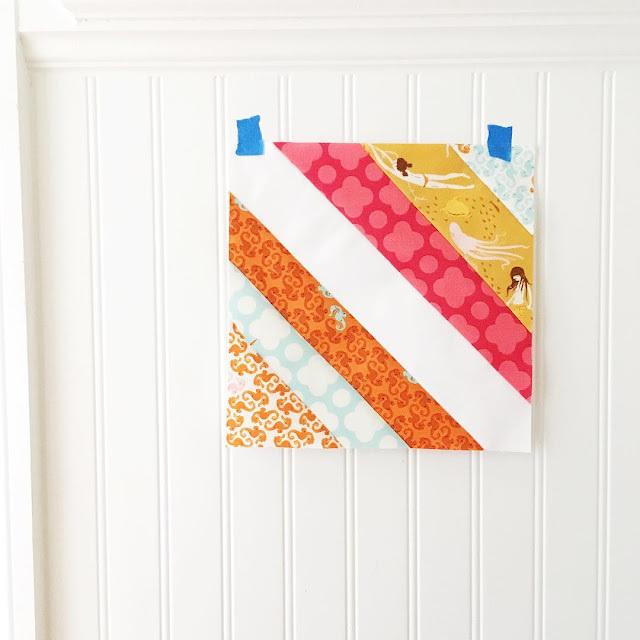 With a 5" inexpensive muslin foundation, a variety of strips from 3/4" to 11/2" and a few minutes of time you will have a variety of colorful blocks. 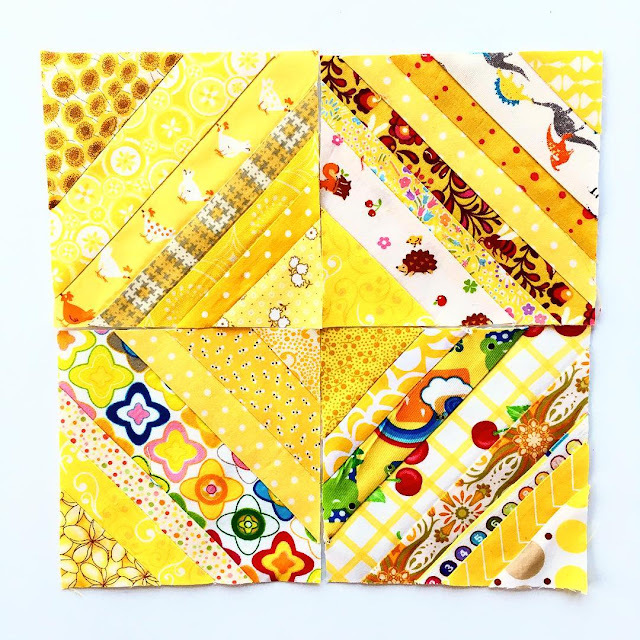 These are perfect for instant sew gratification when you are short on sew time. 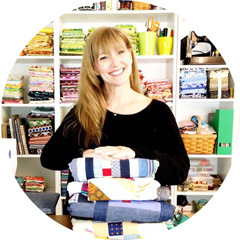 They are also a what can I sew when your sewjo is off! Grab some scraps, some ugly fabrics or plan some fabrics and make some string blocks! I did that exact one years ago with the white down the middle. We wore it slap dab out! Isn't the quilt extremely heavy? I just wanted to say thank you for teaching me a new skill in such a way that I have lost my quilting fear. 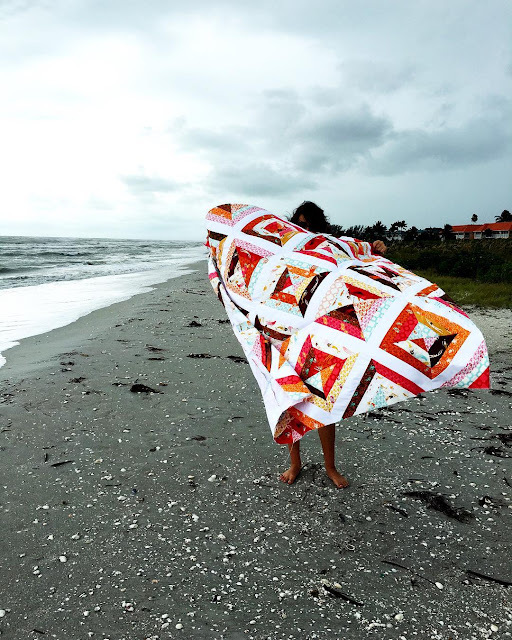 I cut up a whole bunch of my husband's softly worn shirts and used my sewing scraps to start a quilt I can be really proud of. Your video is a beginner's dream. Thank you thank you thank you!